Click on the picture of the walking map to open the free PDF file! Click on your right mouse button (at touch displays long press) to start the free PDF download and choose -Save Target / Link ...-. You may use the PDF map for printing and it is also fine if you want store it locally on your tablet and smartphone. The Piccadilly Circus is one of the most famous attractions in London. Typical are the huge illuminated advertisements that light up the place at night. A very lively area with many restaurants, bars and some entertainment possibilities. The wide boulevard The Mall runs dead straight between Buckingham Palace and Trafalgar Square. During the Changing of the Guard in front of the Buckingham Palace, a part of the guards is marching on The Mall. The boulevard is usually closed for traffic on Sundays, holidays and during events. The Horse Guards Parade square is a huge parade ground. The horse guards perform daily the Changing of the Guard at this place. Two horse guards stand also in front of the gate towards Whitehall street from 10:00 till 16:00 o'clock. Downing Street is unfortunately closed by a fence and not accessible to the public. Here is the official residence of the British Prime Minister. Accordingly, the small alley is well protected by some security officials. The Big Ben is a clock tower which unfortunately cannot be visited by foreign tourists. 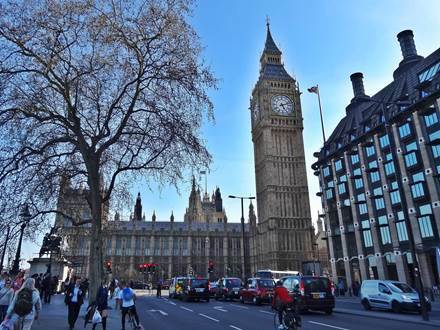 This landmark of London is known for its characteristic bell sound that can be heard at every full hour. 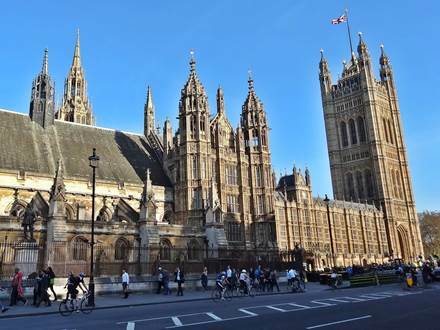 The Houses of Parliament is the seat of the House of Commons and the House of Lords. The British Parliament consists of these two chambers. At certain times some of the approx. 1100 rooms are open for tours. 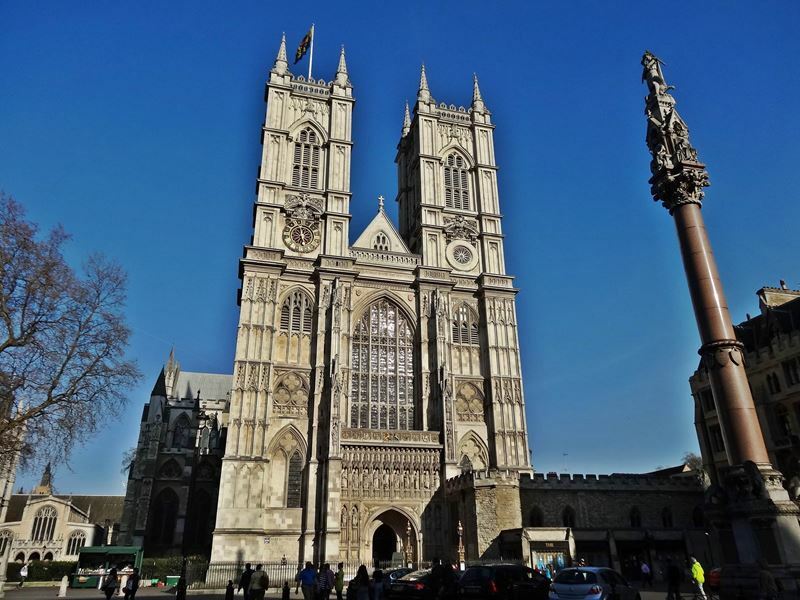 The Westminster Abbey is a time-honored church that belongs to the Church of England and has a special function. It is the coronation church of the English kings. During a tour through Westminster Abbey you can admire the coronation chair. Free entrance with London Pass. 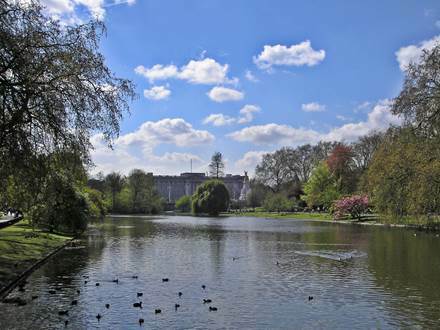 St. James's Park extends between Buckingham Palace and Horse Guards Road. The well-maintained park is divided by a small lake in the middle which is the home for many ducks, swans and even pelicans. 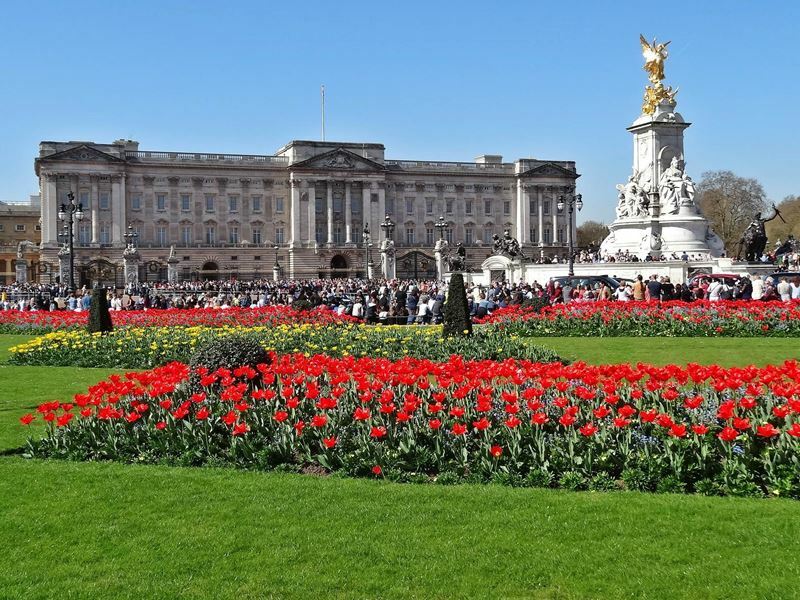 The Buckingham Palace is the official residence of the British royal family. The rooms inside the palace can be visited only at certain times during the summer. 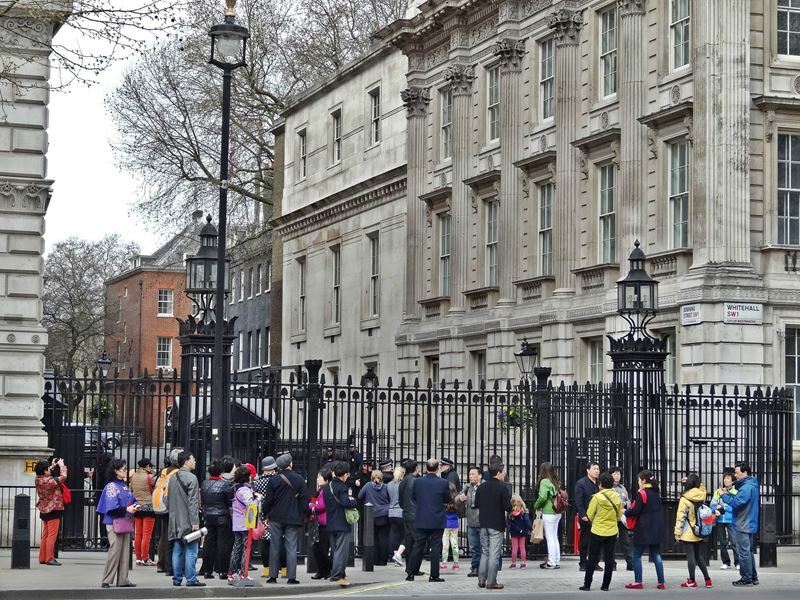 Most of tourists come to the palace to see the Changing of the Guard. The Green Park is located north of Buckingham Palace, separated only by a street. Although the park is unspectacular, most of the time it is very busy. 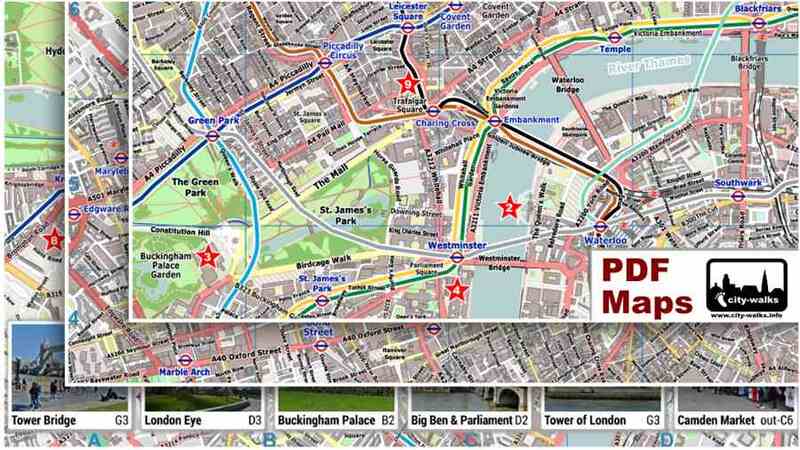 The closest underground station to Buckingham Palace is reachable by a path across the park towards Piccadilly street. Start: The sightseeing walking tour begins at Piccadilly Circus. It is easily reachable by London's underground. Take the Piccadilly Line or the Bakerloo Line to Piccadilly Circus station. 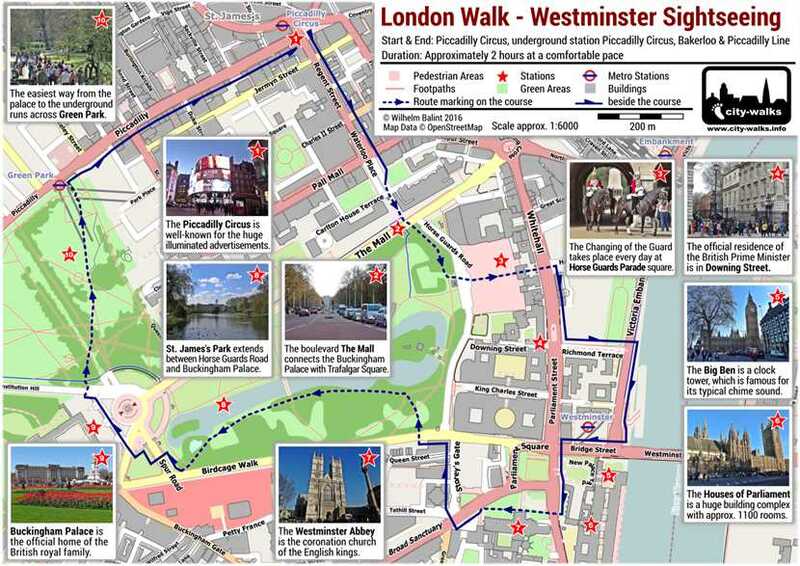 Route: At this London walk you will pass the main attractions of Westminster. 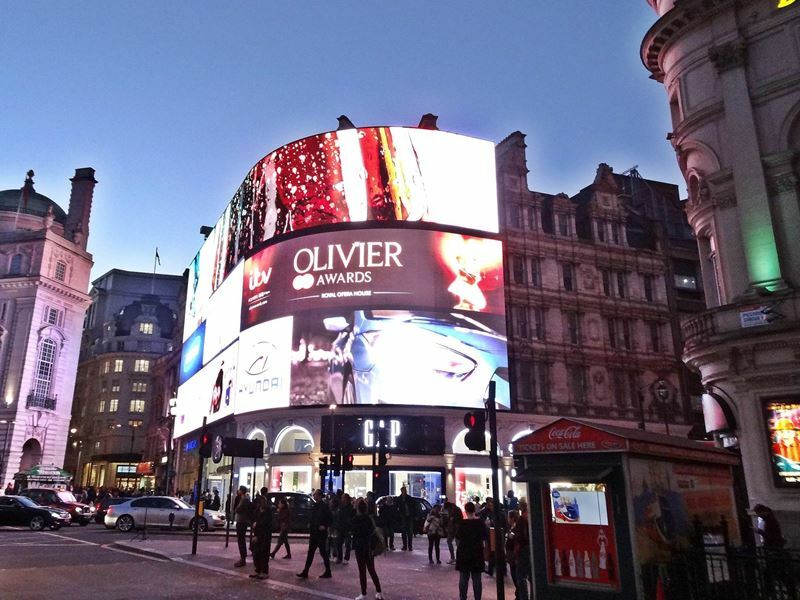 Enjoy your sightseeing tour by foot which starts at the vibrant Piccadilly Circus. Use the Lillywhites sports shop for orientation on the Piccadilly Circus. It is located at the corner to the southern part of the Regent Street. Already after a few steps along the Regent Street it is getting a bit quieter. Some parts of the route run on high traffic roads. Please use always a nearby pedestrian crossing when crossing the roads and pay attention to the left-hand traffic. The route should be easy to find using the PDF map. 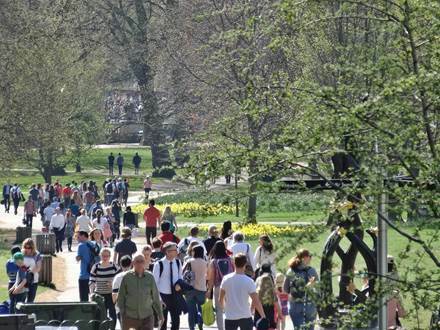 If you want to shorten the walking distance a bit without missing important highlights, you may finish the walk at the underground station Green Park. Timing: During this walk, the timing plays an important role. 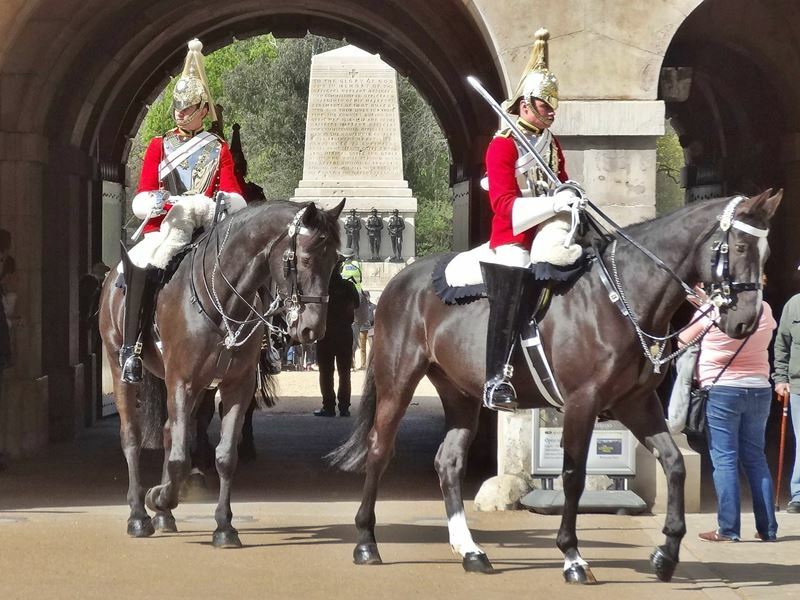 If you want to see the Changing of the Guard at the Horse Guards Parade you should begin your walk at least 30 minutes prior to the starting times. If you have no interest in the Changing of the Guard in front of Buckingham Palace and prefer to avoid the associated crowds, be sure to avoid the area at the Changing of the Guard times. More details are available at following link. 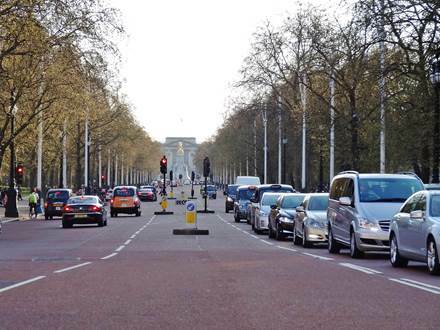 Please be aware that the passage at the Horse Guards Parade square is only open between 7:00 and 20:00 o'clock. Duration: With some time for sightseeing the entire walk takes approx. 2 hours.